Are you looking for a Hempstead, TX Newborn, Baby, Maternity & Family Photographer? 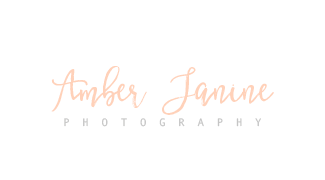 Learn more about Amber Janine Photography now or contact us today for more information! We first met Amber when she photographed a newborn session for our twins. The photos were so unbelievably beautiful! One friend even commented that the photos had an ethereal and spiritual quality. She captured so many different expressions. Our twins are now 3 and we have had at least one session a year with Amber. She has a perceptive and talented eye. She is wonderful with children. We are always in awe of her work and look forward to many more sessions with her and she helps us create our family memories through photography. Amber has caught every big moment for my growing family short of our wedding (and only because she was not in the business at that time). Our family’s story is told through her photography, it’s beautiful. My husband’s and my personality and relationship shine through every photo. My kids relationship and personality are also captured brilliantly. She is able to capture us in a very natural manner (because posing newborn/infant to 4 year old boy is not a very likely task). We have so much fun during the shoots. My kids are so incredibly comfortable with her and God bless her patience with them. There are many good photographers available, but Amber is absolutely the cream of the crop. She pursues further education for her art and hones her skill. She is worth every penny and then some. I have known Amber for many years and she is an amazing woman with a beautiful soul. When she started her photography business I was blown away by her tallent and natural ability to capture such beautiful and genuine moments. Amber has photographed my family during an Aggie truck session and they are some of the most amazing photos we have. She captured beautiful images of our family and also managed to capture the personalities of both of our young children. We will absolutely have Amber photograph our family again and I would highly suggest her to anyone looking for a wonderful person and photographer. I never had the opportunity to have Amber take newborn photos for me, but the sessions she shares are some of the most beautiful and amazing things I have seen! I am always looking forward to her next newborn shoot because they absolutely melt my heart! Amber has photographed my family so many times. She is, hands down, amazing. She captures the most precious moments of my kids interacting and turns them into art for me to hang on the walls of my house. Literally - my walls are covered in pictures she has taken of my family. I HIGHLY recommend her. She is outgoing and funny, a complete joy to work with, and an extremely talented photographer! Amber captured a family session for us and she was so amazing and patient. Really helped everyone feel comfortable and engaging. Her images are framed on our wall and we’ll love them forever, can’t wait to go back again. Amber documented the sweet small perfections of my newborn baby boy. She accommodated my wonky schedule and provided us with memories that Will never be forgotten. So grateful to have found her!! Amber was amazing! We had an outdoor session with our kids (6 months and 2 years), and even though our toddler was grumpy she got so many great shots of him laughing and smiling. She handled it all like a champ and we loved our photos! Amber exceeded our expectations. She is very kind and professional.